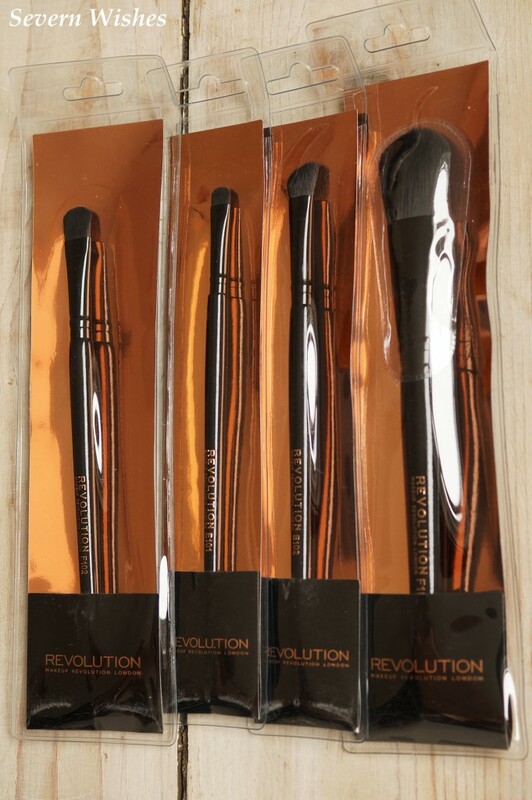 A very good friend of mine is a makeup artist and she recommended Makeup Revolution London to me last year. I started off my collection with a palette I knew I would use on a regular basis because of my complexion and eye colour. That was their Iconic 3 eyeshadow palette, and I have to say the colours are fabulous. Not only that but they last a long time on your skin, sometimes right through the day. And to make it even better, they aren’t expensive products either. I enjoyed using this makeup brand so much that this Spring I ordered some more things from them. Another 2 eyeshadow palettes and some new brushes. For the price you pay the quality is excellent. The brushes are soft yet durable and even if they only last me a year or two, for the price it’s well worth it. I deliberately chose the following palettes that compliment my skin tone and my eye colour. I know a lot of bloggers do swatches of the colours in the palettes, but these aren’t brand new items so there will be plenty of people out there who have already reviewed them. I just wanted to give my honest opinion of them to you. 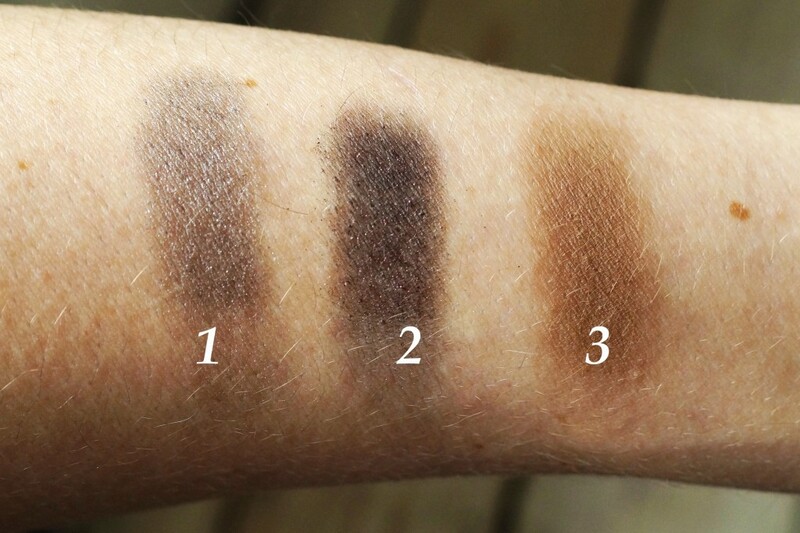 I have hazel eyes and so I wanted to show you the 3 shades, 1 from each palette, which I deem most suitable for me. Number 1 is if I was going for a smokey eyed look. Number 3 is for a more glamorous look. Number 3 is for an everyday look. The palettes I used for these swatches are Iconic Smokey, Iconic 3 and Iconic Elements. All of them have a great pigmentation and the texture is light but durable. They blend extremely easily which is great for all the smokey eye looks I wear. What I noticed the most about doing these swatches on my arm was how strong the pigments were and how incredibly resilient they were. When you remove the makeup on your face with wipes and micellar waters you don’t always notice how much it takes to get the product off. When I began to remove the swatches after photographing I couldn’t believe the strength in the colours. When I have worn other Makeup Revolution eyeshadows they always last all day, so you can wear these products with confidence. You know that you don’t have to worry about a top up part way through the day or night. This quality is essential for those of us who are on the go a lot, one less thing to think about. Here are my recent brush replacement purchases. I chose mostly eye specific brushes because I generally wear makeup on my eyes if nowhere else. The final and largest brush in this image is the new foundation one I ordered. Mine was old and looking worse for wear so I decided to replace it. Would I purchase from Makeup Revolution again? Yes. The delivery time was good and the quality and the care that was taken to post them in was fantastic too. I look forward to seeing what other great products they release this year. 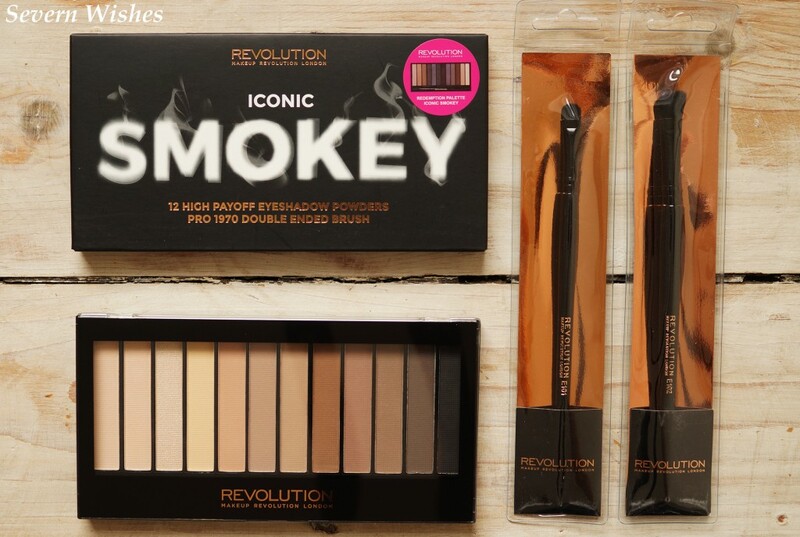 This entry was posted in Fashion & Beauty, Makeup, Makeup Revolution, Reviews by Sabrina. Bookmark the permalink.